The night after the 1958 Acedamy Awards, Metro Golden Meyers Studio had their receptionists awnswering the phones with a perky, "Hello, M-Gigi-M Studios!" 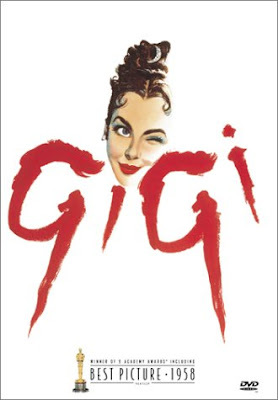 It might have been a little self-congratulority, but who could begrudge them their sucess when the studio's musical Gigi had broken all the records the night before by taking home an unprecedented nine academy awards, every one it had been nominated for, including Best Picture. In the next few years, this record would be both matched and broken. And today Lerner and Leowe's other, earlier movie musical, My Fair Lady, is better remembered, but for that moment, Gigi reigned supreme. In fact, there are many superficial similarities between Gigi and My Fair Lady. Both are musicals that take place in countries far across the sea from Hollywood, and both are set at the turn of the 20th century. Both are concerned with dark-haired young women finding their place in the world. Several of the songs in Gigi were even originally meant for Miss Dolittle or Higgins! However, where My Fair Lady is all about class distinction and that English stiff upper lip, Gigi is primarily a love story filled with Gaelic charm, and that is what draws audiences back time and time again. But such charm is not always easy to come by! This production brought together a wide variety talents to meld into this unlikely work that would win such acclaim. The story was based on French writer Collette's short story of the same name, and! though prodcuer Aurthur Freed had gone to pains to get the movie rights, it was a fight to get the script about the courtesan-in-training past the Hays Code. After much battling, it finally got the censors' O-K. Things picked up when Lerner fell in love with the poject. He'd been contracted to make another film for the studio and had finally found the one he wanted to make! His usual partner, Loewe, who wrote the music to Lerner's lyrics, despised Hollywood. However, with the promise that the film would be produced in France, he agreed to come to work. Together on this musical they would create some of their greatest works, including Lerner's favorite lines that he'd ever written ('She's so oh-lala!/ So untrue-la-la/ She is not thinking of me!"). To direct they brought on Vincent Minnelli (the movie would be the biggest money-maker from Minnelli's work for the studio), and to act they have Maruice Chevelier, famed French chanteur, and several other French actors as well. For the title role of Gigi, Audrey Hepburn had been considered, but was unable to commit due to scheduling. Needing to cast their nets a little further abroad from home, attention turned to Leslie Caron who had had her breakout part years earlier in Gene Kelly's An American in Paris. She too had that continental air and a sense of innocence about her, even if she had floundered a bit in the time since that breakout role. 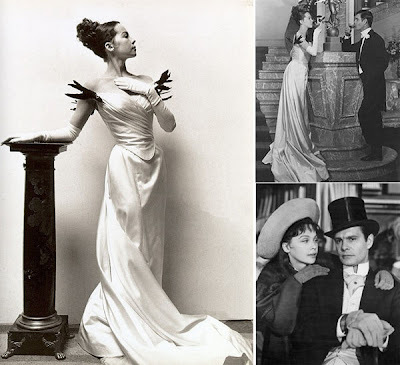 She had married and gone to live with her husband in England- Leowe recounted he had been shocked to find she had lost her accent!- but had in fact played that same role of Gigi in the much darker stage version. After a conversation wherein Freed painted her career history as that of a fading star's, Caron agreed. From there, the movie itself was produced and filmed quickly- in less than four months, so fast that in some numbers actors had been forced to mouth the lyrics; the music had not been written yet! The show opens with Maurice Chavailer's famous number "Thank Heaven for Little Girls." After all, he says, little girls get bigger every day. This is to be the theme of the film, as we watch backwards little Gigi grow into a young woman, and the trouble this transformation brings in a world where there are those "who do not marry (mostly women)" and "those who will not marry (mostly men)." up, it is interesting to note that she is the most static character in the film. She may have polished the edges, learned manners and gotten an evening gown, but Gigi stays true to herself. The drama that unfolds is how those around change because of her. To be a woman, one does not need to change. It is also a very styish film, with lavish sets, on-location scenes, and gorgeous costuming. All this works to give a feeling of luxury and class to an otherwise, admittedly, simple tale. But, the real reason I- and I assume other viewers too- keep coming back, is the music. While the number "I Don't Understand the Parisians" is a bit of a disappointment, if one boring song is all that we can complain of that is still a record far above par! Maurice Chevalier alone is worth the price of admission! But, in addition to that world-class entertainer, you have the giddy fun of "The Night They Invented Champange," and the hilarious musical monologue "She is Not Thinking of Me," amongst many more. It may not be as meaty as some movies out there, but this is a delightful French confection as addicting and sweet as sugar, worthy of those golden statues it earned.